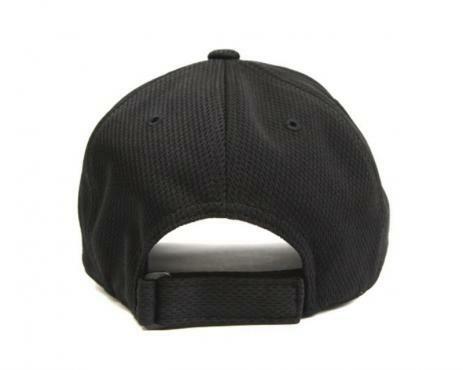 Official replica cap. Bobby Valentine returned to manage this team for a second time in 2004. Japan Series champions in 2005. Based at Lotte Marine Stadium in Chiba Prefecture. 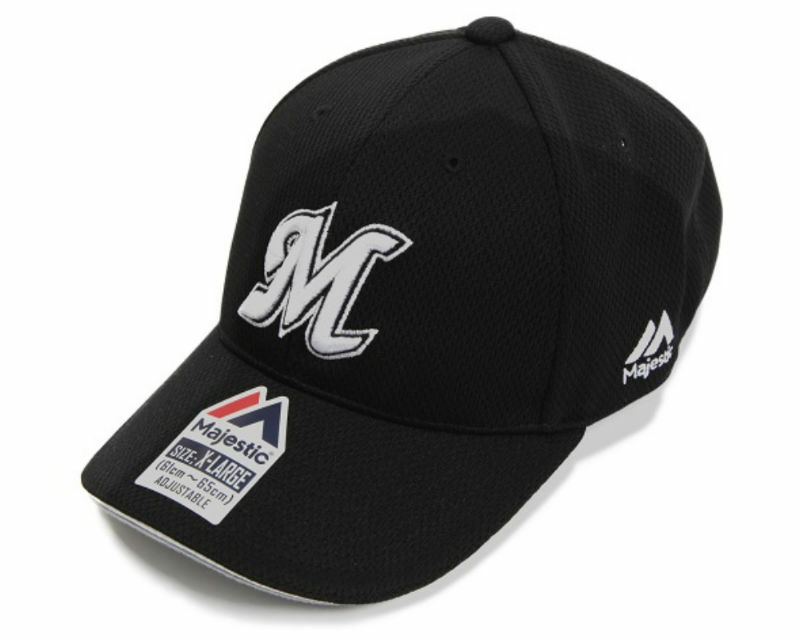 Former star players include Irabu Hideki. 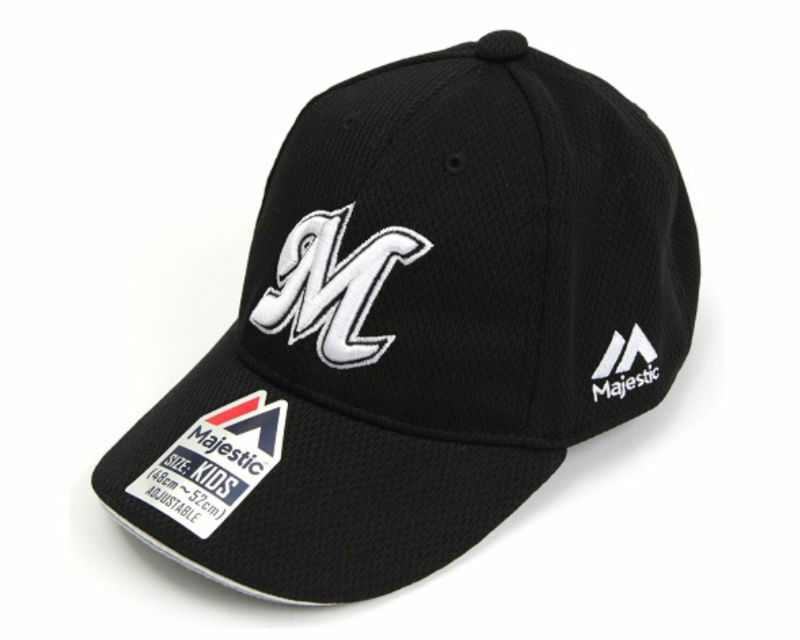 Made by Majestic. 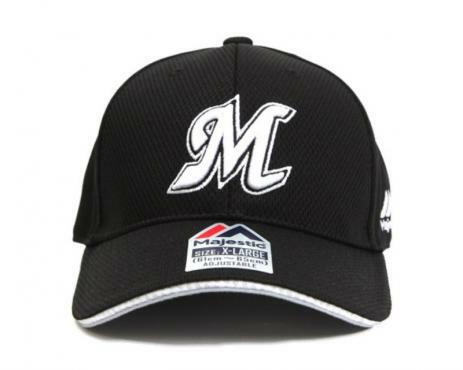 Material: 100% polyester, black with high quality embroidered silver M logo.